Thank you so much for visiting Love Being Catholic! 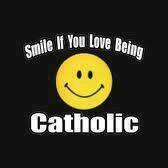 I hope you are enjoying this page and that in some small way it is helping you to grow deeper in your Catholic faith. I love providing you with daily post on my Facebook page which now has over 235,000 friends, and have finally (through your encouragement) started this blog so that those of you who are not on Facebook can now see my posts and share the information with others. I’ve been encouraged by many of you to offer a “donations” button on my site. My mission is to help you grow deeper in your love for Christ, His Church, and our Blessed Mother, while at the same time give you some easy-to-understand answers to questions you might have been asked by others about our faith. Your donations help me to fulfill that mission. If you’re enjoying this page, please consider supporting it with a modest donation – every little bit helps. It takes hundreds of hours to research, write and maintain this site. Any support is appreciated as it would allow me to continue running Love Being Catholic. Anything you can do is greatly appreciated! (Donations are not tax-deductible.) If you’ve donated already, I thank you wholeheartedly for making all of this possible. If you find any joy and value in Love Being Catholic, please consider supporting me in my efforts. Thank you in advance for your support and may the peace of Christ be with you always! Note: Note: Love Being Catholic is not a 501c3 non-profit. You will not receive a tax deduction for your donation, but your gift is appreciated and you will be in my prayers. Thank you! I’m glad you started this site. 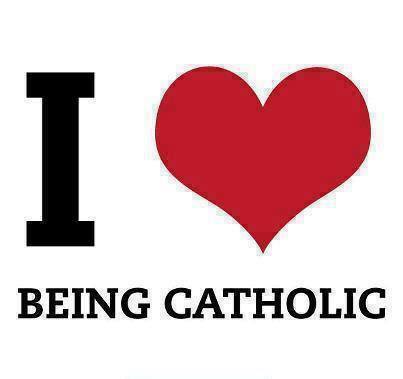 I love being Catholic too. I share your site information with family & friends praying it reached out to them & inspire them & let them know there is a God & God loves you & praying is not hard. Keep up your wonderful works & God bless you. Thank you so much for your sweet note – I really appreciate it! 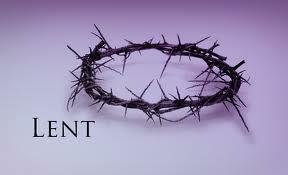 I hope you have a wonderful and holy Lent – I will add you to my prayers. Have a great Saturday! Hi Janice – I’ll try to find out! Thanks! Can you pray for my sister-in-law Susan. She needs healing prayers? I am so sorry you were mistreated! I am sure that what goes around,comes around. They will get what is coming to them by God, you live for you, and God, and He will help you through it. God love you !!!! !Be Blessed!!!!! Would prefer to send check.Do you have a PO Box? Hi Kevin, I don’t have a PO Box – but have been asked this before and may get one in the future – thank you and Merry Christmas! i would like to donate but would like to send check. Where do I send the check?? Thank you for your dedication to the Catholic religion and your hard work for this website. We need more of this in our crazy world. You are so welcome! Thank you for your sweet note Becky! Have a great day! I love your inspiring and enlightening posts. I have learned so much about my Catholic faith that I never knew, thanks to you. And, I even went to Catholic High School. I know how much you have been struggling, especially with your husbands bad heart condition that is absolutely limiting his work hours. I also know how important it is to send your 3 children to Catholic school, even though it is very costly. And, you work full time. I don´t know how you do it or how you find the time, but I thank God every time I see a new post from you. It has definitely helps to keep my faith alive and strong. I would be honored to donate!! Thank you, and God Bless you and your family. Awww Sarah – thank you so much! That was so sweet of you – I truly appreciate the kind words! There is no greater joy than to walk with Christ! I love being a Catholic and sharing in His sacraments! 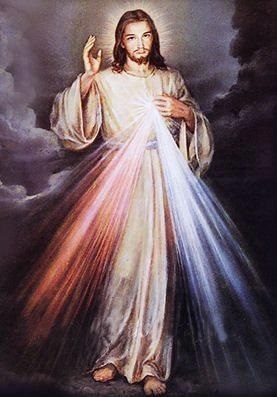 Thank you Jesus , I love being Catholic, it’s a way of life to love and praise The Lord daily 24 hrs a day. Everything is a blessing from The Lord ! Hi Liz. I am a traditional Catholic that attends the Latin Mass. I noticed some of the prayer cards you’ve posted look like cards I used to be able to find at Una Voce bookstore before it closed. Where do you find yours? Thank you for your time. Love what you write , it’s inspirational and uplifting. I read it on my girlfriends Facebook page. At this time I can’t donate due to my financial curcumstances but, I will eventually. 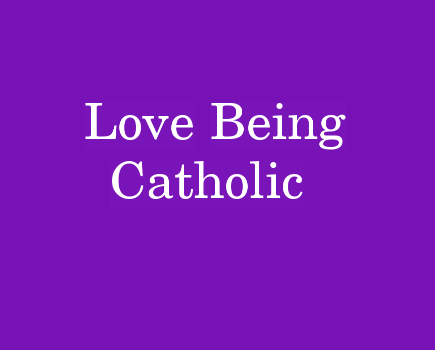 I want join this page of being Catholic. 2 . I don’t ever make donations. 4. Hopefully I like this site. 5. Hopefully, your following the Truth Catholic Religion, for my sake. 6 . Again..Thank you for sharing your site. 7. I will definitely share, if I’m touched by a written word, so i truly thank u . Thank you so much for your work and devotion to our Catholic Faith. I know you work full time and have 3 children and I cannot imagine how busy you must be.You are a cancer survivor and your husband has serious health issues. God Bless you. Thank you from the bottom of my heart for bringing me back to my faith. I know you are busy, and I will happily donate so you can continue to help us. Best 50 years of my life! I am a senior and live in an assisted living facility. They take all my SS for my expenses here and I am only given $50 a month to buy personal items. I cannot afford to make a donation. Does that mean I cannot subscribe to your site?